United Security Services started off as a small Southern California security guard and patrol service organization. 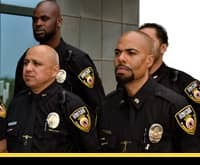 Our rapid growth providing security guard services started shortly after the new millennium enabling United Security Services to become the security service team for big corporations all over California. By being one of the largest security companies in California, United Security Services has been able to grow its value for the small businesses we started off servicing. We have trained our management teams to approach every client, no matter the size, with the same degree of dedication. We work with well-distinguished management and construction companies throughout California. We also work with many celebrities to ensure the safety with our highly trained celebrity security guard units. We currently provide many locations with security guards and security patrol services to keep schools and streets clean. We have designed a system that ensures our security professionals are responsible to their clients continually maintaining high customer satisfaction. These teams consist of Security Operation Managers, Security Consultants, Account Executives, Field Supervisors and excellent HR Department that guarantees first class security guards to every client.